Dirk Bogarde stars in this compelling wartime Lancaster-based drama as a young Wing Commander close to breaking point with 87 sorties under his belt.  He is determined to make 90 in spite of his superiors pressing him to take a break and a spell on the ground. 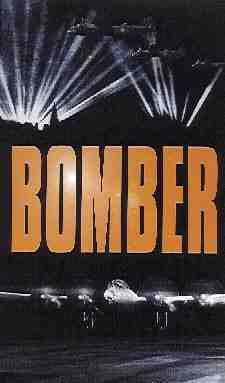 A series of misfortunes that suggest a 'jinx', precede a dangerous bombing mission over Germany, which climaxes in a nerve-shattering, breathtaking finale. Filmed at RAF Upwood. Running time: 92 minutes approx. In 1945, the last RAF Lancaster bomber set out from the airfields of England to strike Germany. The Bomber offensive was decisive in the Allied victory of Nazi Germany, but at the awful cost of more than 55,000 RAF Bomber Command aircrew killed in action. This programme looks at the air war through the eyes of eight aircrew veterans. They experienced the full horror of bombing operations, but also remember with pride the close proximity of crews who, each night, set off down the runway with a one-in-ten chance of not making it back home. All eight men flew with the Stirlings and Lancasters of No 7 Squadron. The squadron played a vital role as a Pathfinder force, but paid a terrible price. Over 800 aircrew from the squadron were killed in action. Now the survivors are re-united to climb into one of the last airworthy Lancasters and recount in vivid detail what it was really like to take part in a raid as a pilot, navigator, bomb aimer or gunner. The video also includes an unusual reunion with their Luftwaffe contemporaries, and a poignant return to the scene of a crash in Arras, France, where four of their companions now lie buried. Illustrated by graphic wartime footage and superb new film of Lancaster 'City of Lincoln' in flight, 'BOMBER' is a moving tribute to the men of the RAF Bomber Command who gave so much in service to their country. Running Time: 52 minutes approx. It took just four months from the outbreak of World War Two for the RAF to learn that bombers were hideously vulnerable on daylight raids. The Luftwaffe learned the same lesson during the Battle of Britain. Both sides hurriedly switched to a campaign of night bombing - a tactic for which both were completely unprepared. The problems were identical on both sides. 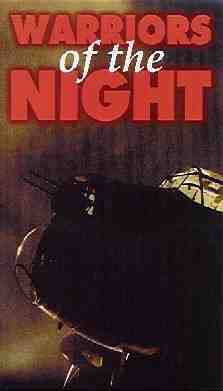 The bombers could not find their targets in the dark - and the new breed of night fighters could not find their prey. 'WARRIERS OF THE NIGHT' is the definitive account of the fight for the night skies over Britain and Europe from 1939 to 1945. Luftwaffe and RAF night fighter and night bomber veterans provide vivid accounts of the conflict, while experts reveal the evolving tactics and ingenious secret inventions developed by both sides. The video shows how these different tactics and inventions - like the British 'Gee' and 'OBOE' navigation aids, upward firing cannon and downward facing H25 radar, rear-facing 'Monicas' and nose mounted airborne radar, the 'Wurzburg Giants', 'Corona', 'Window', 'Tinsel', 'Wild Boar' interceptors, Pathfinders, electronic jamming and Himmelbett night fighter boxes - changed the deadly games of cat and mouse fought between fighter and bomber as the war raged. The video also features quality archive film, including colour footage of Halifax bombers and a fascinating recreation of an attack on a Lancaster with a Luftwaffe night fighter veteran actually guiding the attack and the Lancaster performing violent corkscrew manoeuvres to escape - filmed by multiple cameras! Running time: 180 minutes approx.